Words and Photos: Colin Meagher. This story originally appeared on PinkBike – April 12, 2013. Far from Pinkbike’s World Headquarters, lies Dijon, France. To the general public, Dijon is the home of the famous Dijon mustard. To the culinary elite, Dijon lies in the heart of the Burgundy wine region—acclaimed globally for it’s rich red wine and classic French cuisine. 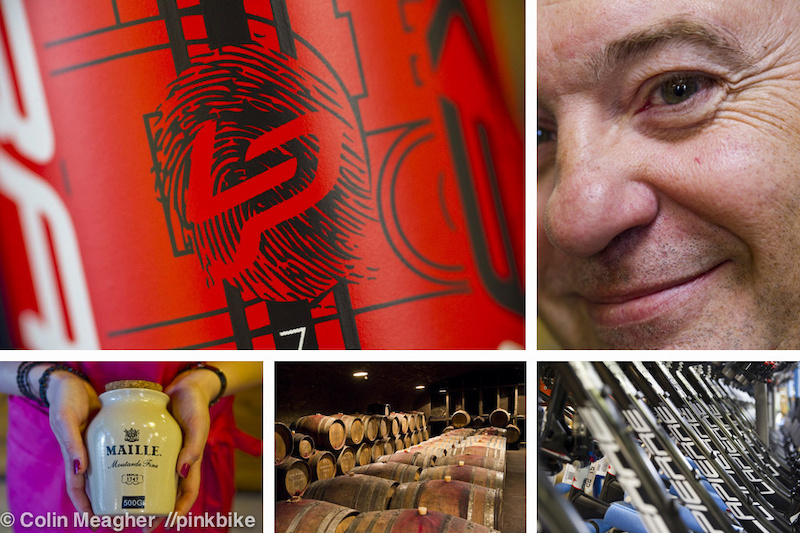 But to bike enthusiasts around the globe, Dijon is also the home of Cycles Lapierre. ‘Lapierre Bikes,’ as they are more commonly referred to, has been in business for sixty five years. They are France’s largest premium bicycle producer and they sponsor race teams and individuals who participate in all forms of competitive cycling; from the Tour de France, with the FDJ team, to the UCI Downhill World Cup with its Lapierre Factory Team featuring Sam Blenkinsop, 2012 Junior World Champ Loic Bruni, and two-time World Champ Emmeline Ragot), as well as Enduro, with the indomitable Nicolas Vouilloz. 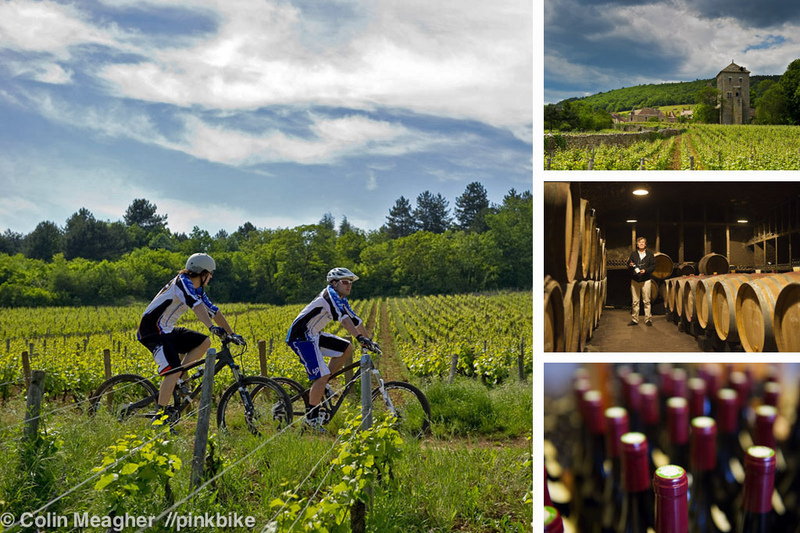 Lapierre is located on the outskirts of Dijon–a mere ten minute pedal from vineyards that produce some of the most expensive wine in the World. These vineyards and the forests that surround them are laced with trails—the same trails that Gilles Lapierre first tried mountain biking on. Lapierre is best known in mountain biking is for their innovative full suspension mountain bike designs. They first made the legendary X-Control – a single pivot design – in 2001. Jerome Chiotti raced that bike to a French National Championship title at a time when almost everyone else was unwilling to race a full-suspension bike. X-Control still exists in a modern version, but today Lapierre is better known for their OST+ suspension – a patented four-bar system utilized on their longer-travel trail and freeride bikes, and for their proprietary Pendbox linkage design that is found on both their DH bike and the X-Flow trail bike). More recently, Lapierre created waves with the advent of their e.i.shock concept. Heritage. 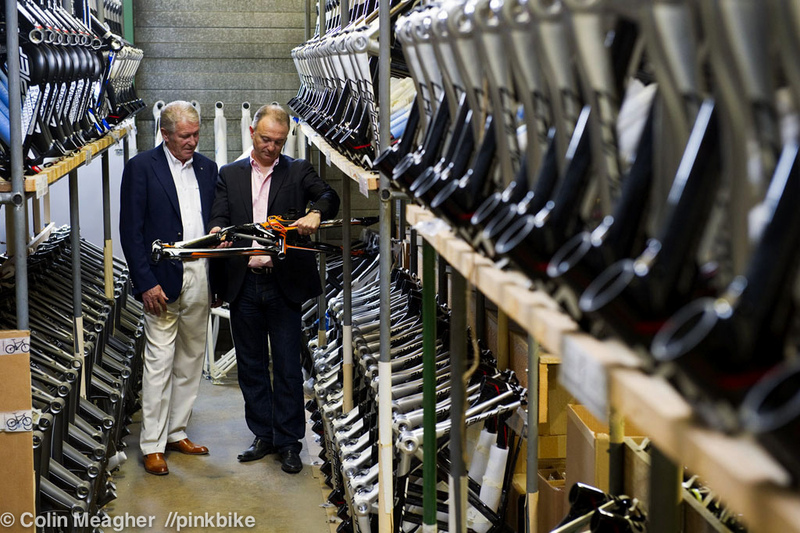 Gilles Lapierre and his father, Jacky, looking over DH frames in the Lapierre factory. Jacky may have handed the reins to his son in ’96, but his influence is still visible on the production floor: as Jacky strode through the facility with Gilles, he was greeted by name and a handshake by nearly every worker on the floor–never mind it’s been over a decade and a half since Jacky’s been the managing director at Lapierre. It was Gilles who was responsible for Lapierre’s move into mountain bikes. On a trip to Taiwan in 1987, he had his first exposure to mountain bikes. Samples were ordered, the local trails in Dijon were explored, and Gilles was hooked.